After The Colbert Report ended, after those joyously weird 30 minutes of television came to a close, I thought about what viewers expected and wanted from the show’s finale. What was the fundamental question people needed answered? And the answer was immediately obvious: Who is Stephen Colbert, and who is “Stephen Colbert”? Colbert must have been aware of this, as he ended the show with a revealing 2010 outtake. Jon Stewart, having just finished The Daily Show, tosses to Colbert, who is talking through a tiny gorilla head. It’s silly and hilarious, but the producer won’t let them use the take, forcing Stewart and Colbert to do it in character. Colbert’s reaction is to parody his own parody. And that’s the answer. 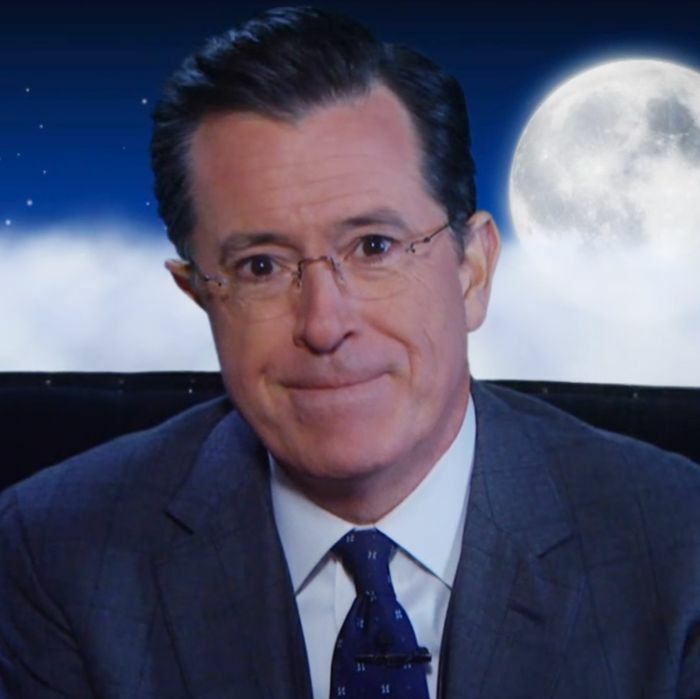 Stephen Colbert is, was, and will always be Stephen Colbert, in one form or another. In that moment, I finally cried, and you maybe did, too. I spent this week immersed in The Colbert Report: I looked back at the show’s early days, edited together 49 former guests’ memories of being on the show, watched more than a dozen clips of him breaking, and I cried. Why? I read comments to these posts where people admitted to also getting teary-eyed. Why? It’s a TV show. It’s a comedian who is not retiring, but essentially going on vacation. He’s not even changing time slots! Here’s why. In the first episode of The Colbert Report, in the first Wørd segment (Truthiness, remember), Colbert made us a vow: “Anyone can read the news to you. I promise to feel the news at you.” At the time this was meant to satirize the anti-intellectual attitude that many considered pervasive among the conservative media and in the executive branch. More than 1440 episodes later, it appears he has kept his promise. Unlike The Daily Show, which was tightly focused on reacting to the day’s events, the Report gave viewers a feeling of the bigger picture. And through the character of “Stephen Colbert” — so wide-eyed and naively confident — we were able to personally connect to the news, and more broadly to the world. Severing a relationship like that: [loudly crying face emoji]. It’s why his final episode didn’t even attempt to stick one final nail in the coffin of modern conservatism. If anything, he did the opposite, dedicating The Wørd to the fact that everything is exactly the same as it was when he started nine years ago. (That “I promised a revolution and I delivered, because technically one revolution is 360 degrees back to where we were” joke is why Colbert’s writing staff has won the last two Outstanding Writing for a Variety Series Emmys.) Things are always going to be how they are, and all we can do is have a silly time, singing and dancing with all our friends in the face of it. Colbert winked at exactly that in The Wørd, saying, “And if all we achieved over the last nine years was to come into your home each night and help you make a difficult day a little bit better, man, what a waste,” but meaning the exact opposite.